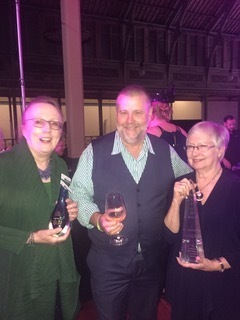 We are absolutely thrilled to congratulate Jane Gibson and Lynn Hewitt (pictured left to right with Gary Fitz-Roy, MD of Expertise Events) on their success at the Australasian Quilt Convention (AQC) last weekend. 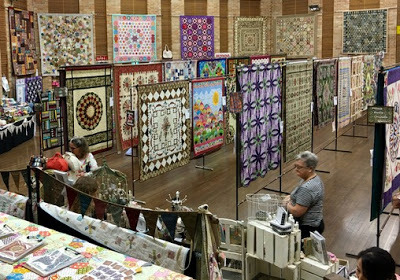 By way of background, Expertise Events runs AQC each April in Melbourne with quilt displays, workshops, lectures, demonstrations, a multitude of shopping opportunities and a gala dinner -- a veritable feast for the passionate quilter. The gala dinner (sponsored by BERNINA Australia) is a chance to catch up with fellow quilters and enjoy some entertainment ... but it is also an awards night celebrating excellence in and contributions to quilting in Australia. 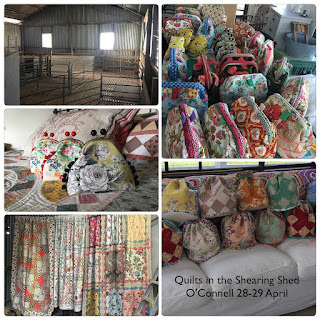 First up, was the announcement of the Australian National Quilt Award winner for 2016 (sponsored by BERNINA Australia) and the winner was Rachelle Denneny with her quilt 'Modern Movement'. Congratulations to Rachelle!! 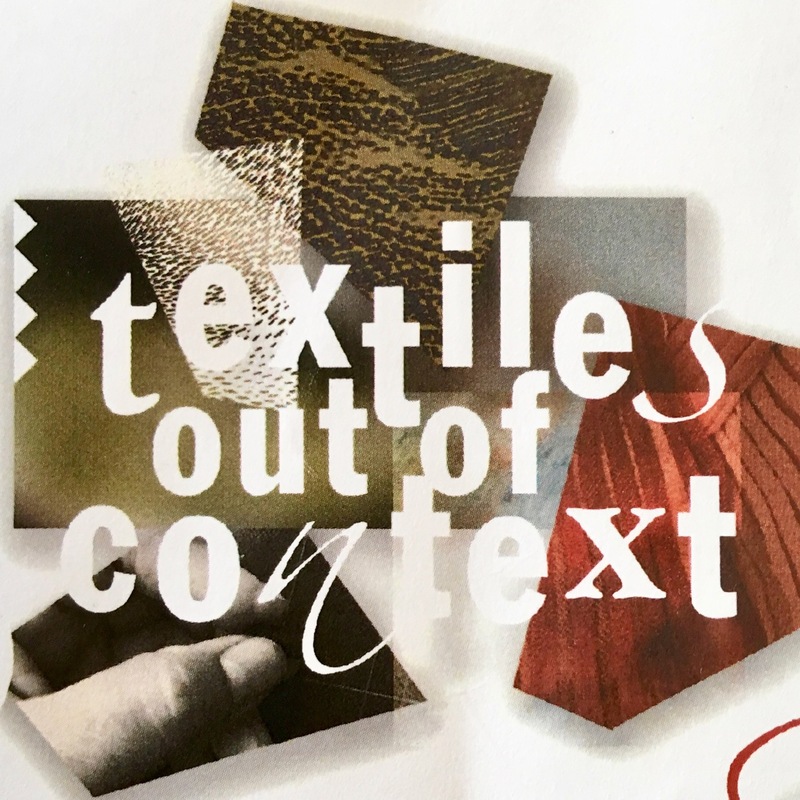 Next up, Expertise Events recognises Australian quilters with three special awards and I can proudly say that two QuiltNSW nominations won!! The first of these was Jane Gibson, who was awarded the Lut-da Award (along with Marie Lee from Victoria), which is to recognise an outstanding contribution to their community through quilting. 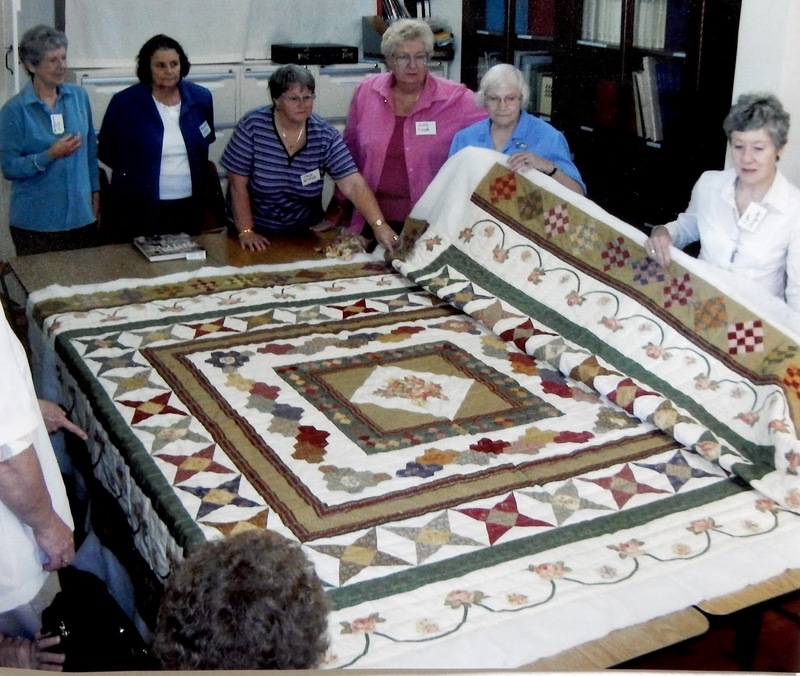 Jane has been involved with QuiltNSW for many years and has volunteered in numerous capacities over that time. She has been a source of knowledge and counsel to many committee members and is instrumental in the smooth running of the QuiltNSW administration. Congratulations Jane!! 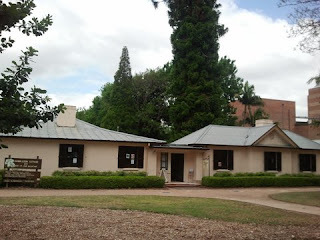 Then it was the announcement of the Rajah Award winner for 2017. 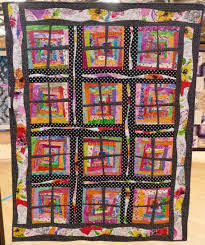 This award acknowledges an outstanding contribution to quilting in Australia and we were all delighted that Lynn Hewitt was announced as the 13th recipient of the Rajah Award. 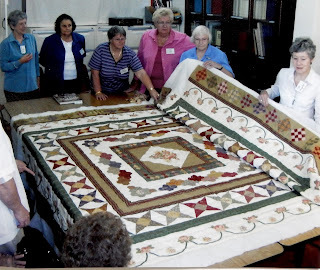 Lynn's contributions have been as quilt teacher, quilt judge, Quilt NSW committee member and volunteer and international quilt tour host. 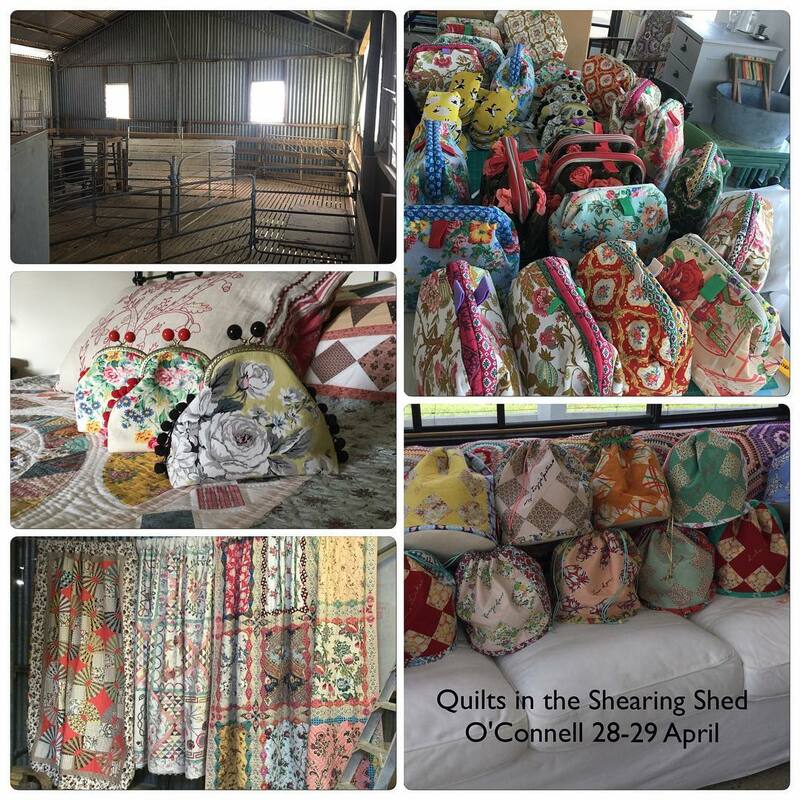 Beyond that, Lynn is a genuine ambassador of quilting, generously sharing her knowledge, encouraging others and celebrating their success. Congratulations Lynn!! More details in our upcoming Template newsletter.